Cellulite is a condition that affects approximately 95 percent of women over the age of 20, and it can also affect a smaller population of males. Contrary to popular belief, it’s not a condition that only affects overweight people. Thin people can also experience cellulite. Cellulite is most noticeable on breasts, abdomen, hips, thighs and buttocks. Drs. Marina and Richard Buckley of MilfordMD offer treatment options to help rid your body of unwanted cellulite. There are a number of options the physicians at MilfordMD can use for treating cellulite, including laser liposculpture, Thermage, Venus Freeze and Carboxytherapy. When therapies are combined to treat cellulite, the reduction of fat and cellulite can be improved. Cellulite treatments can also benefit sagging skin and wrinkles. Cellulite can be caused by a number of different things – hormonal factors, genetics, diet, lifestyle, lack of exercise, increased BMI and poor circulation. Cellulite is the result of herniated fat pockets that are tethered down by fibrous bands called septal fibers that have shortened. This gives cellulite a lumpy appearance. What does cellulite look like? Cellulite looks like dimpling of the skin. Some refer to cellulite as looking like cottage cheese, orange peels or having a mattress-like appearance. Dr. Richard Buckley performs laser liposculpture at MilfordMD. The treatment is designed for laser body sculpting, disruption of fat cells and releasing shortened septal fibers. Lasers are ideal for treating localized deposits of unwanted fat, fat tissue irregularities and for coagulating tissue creating a tightening effect. Laser Liposculpture is done under local anesthetic while the patient is awake and comfortable. Laser liposculpture is minimally invasive, typically with little or no bleeding and bruising, and a quicker recovery time. Carboxytherapy is a simple and proven anti-aging treatment that dramatically reduces the appearance of cellulite by improving local tissue metabolism and perfusion. 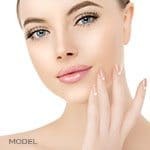 It’s a non-surgical cosmetic procedure that involves an injection of micro amounts of medial grade carbon dioxide into the subcutaneous tissue with a tiny needle and computer control. Carboxytherapy destroys the fat cells without harming the surrounding skin structure. It’s the non-surgical way to successfully shrink double chins and treat cellulite. Carboxytherapy can also be helpful in softening stretch marks. Dr. Marina Buckley performs Thermage at MilfordMD, a non-invasive radio frequency procedure with computer controlled cooling that tightens and contours the skin anywhere on the face, neck and body. There is no downtime after the procedure. Thermage works by using deep heating tips that create great results. The advanced deep heating Thermage Cellulite Tip 3.0 helps to improve the appearance of cellulite by restoring collagen connective tissue and improving the smooth appearance of the skin surface. It also improves circulation in cellulite prone tissues to reduce fluid and improve the appearance of cellulite. Thermage can tighten and firm the eyelids, face, neck, chest, arms, abdomen, love handles, hips, buttocks, thighs and knees. 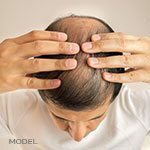 Typically, a single treatment offers lasting effects which may be repeated if desired.